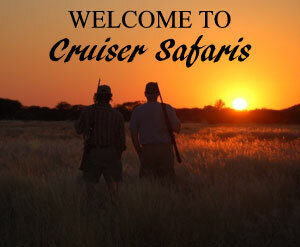 South Africa hunting safari information, experience, package prices: Cruiser Safaris. Your browser does not appear to support our video feature. We have ALL the detailed South Africa hunting information and decades of safari knowledge and experience needed to give you your ideal South African hunting safari. 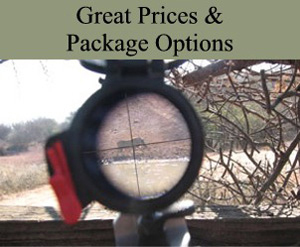 And, with our great prices, safari hunting packages and NO Hidden Fees policy, you're sure to get the hunting safari of your dreams at a price you can afford. The Safari Hunting Experience you DESERVE. South Africa hunting safari detailed Information, Knowledge and Experience, great Prices and hunting Packages. 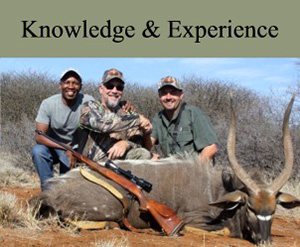 We provide you with All of the information needed to plan and prepare for your hunting safari in South Africa. This information will make you more comfortable when you arrive in South Africa and your safari experience will be much more enjoyable. 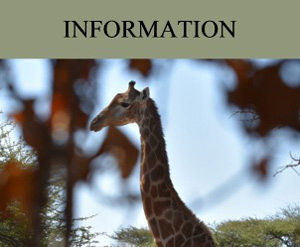 The information starts with our General Information pages and continues until the time of your safari with additional detailed information sent directly to you. We have decades of knowledge and experience, making safari hunting dreams come true since 1995! Pieter Lamprecht, your host and outfitter has a lifetime of hunting experience in the Limpopo Province of South Africa. Being awarded the Wildlife Rancher of the year in 2014 demonstrates his knowledge and commitment to outstanding game management which has provided quality trophies for his clients’ year after year. Our prices are NOT too good to be true. Why pay more to enjoy less? We have our own properties, full time staff and first class lodge so we are able to keep our prices at some of the lowest in South Africa while still tailoring our hunts to our client’s desires and abilities. We offer 7 South African safari packages (including bow hunting and Sable packages) at affordable prices. With our NO HIDDEN FEE policy there is something available for everyone. Excellent mature trophy quality animals, first class lodging and guest services, ALL at affordable prices. 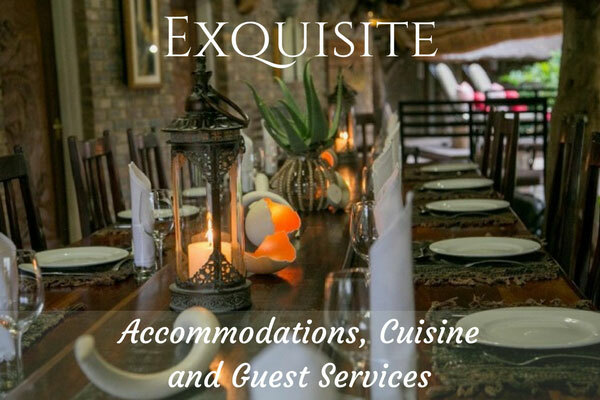 Our modern first-class hunting lodge is relaxing, comfortable and includes a pool and hot tub in a wonderful bushveld setting with beautiful garden landscapes. All of our safari hunting packages are all-inclusive of laundry and maid services, meals, beverages and more all at excellent prices. Sharing the total experience of South Africa with family members is encouraged at Cruiser Safaris and our hunting camps are "family friendly" for members of all ages. All meals are nutritious and elegantly presented with plenty of fresh produce, fine wines and deserts that will have you going back for seconds. See "Our Lodge" page for more information. Where do you begin? Our WELCOME page gives you information about our website, how to get started planning your South Africa hunting safari and where to find the information you need. Including our all-inclusive safari hunting packages and great prices. This is where your Journey in South Africa will begin. You have questions and need information about planning your hunting safari. We have everything you need to answer all of your questions and our WELCOME page is the perfect place to start your South African hunting experience. Sign up to our Mailing List and receive information on Cruiser Safaris Updates and Special Offers! Subscribe to our Updates & Special Offers mailing list! 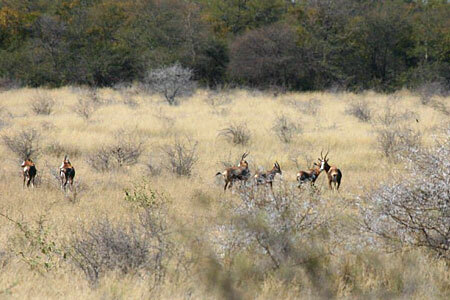 Our hunting location is in the best plains game hunting area in all of South Africa. Our expansive hunting properties offer an abundance of the trophy plains game available in the Limpopo Province of South Africa including Impala, Kudu, Blue Wildebeest and Sable. We and our staff are committed to animal conservation and giving you the hunting experience of a lifetime. See our "Hunting Location" page for more information. One of the most popular sections of our website is our Newsletter. Since 2002 this has contained the hunting stories and photographs (when available) for every one of our hunting client guests. Browsing through the stories and pictures will give you an actual insight into what your hunting safari experience with Cruiser Safaris in South Africa will be like. ENJOY! Follow our "Newsletter" link for more information. Our videos offer exciting hunting footage as well as information. We have videos showing our lodge accommodations as well as taking you along on actual hunts! You will see some of the wildlife, stunning scenery and hunting terrain you can encounter while on safari with us in South Africa. We also have two videos with wounded war veteran, Joel Tavera who we had the honor and privilege of hunting with July 4, 2018. He was severely burned, lost an arm, a leg and his site. Joel is not a celebrity. He is, however a great example of inner-strength and the spirit of the American soldier. Thank you for your service, Joel and all the veterans out there. Also visit Cruiser Safaris TV - YouTube. Come, let us share with you the Africa we know and love and make your South Africa safari hunting dreams come true. We thank all visitors to our site and hope those not in favor of hunting respect our right to promote sport hunting safaris in South Africa as we see fit. There is no obligation to view any content, if you don't like what you see, don't view it. 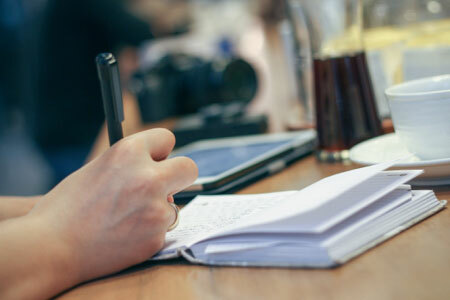 To others, thank you for the visit and we hope we meet our goal in providing you with useful, interesting and informative content.